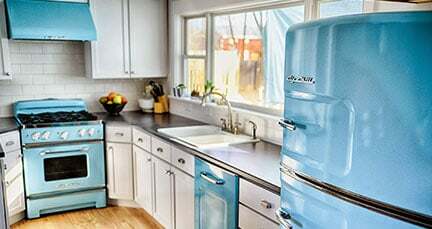 Big Chill knows how to bring the heat with a wide variety of colorful cooking essentials like stylish stoves, full-size vintage ranges and eye-catching accessories. 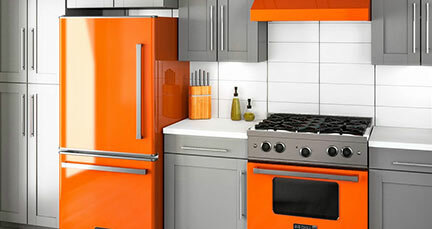 Shop Big Chill’s Retro stoves, ranges, and ovens built with stainless steel and powder-coated metals. Choose from 27 standard colors or 200 custom colors and various metal trims, like brushed brass and rich copper, to create your ideal look. 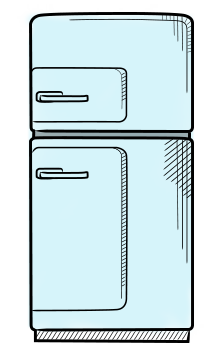 Then pair Big Chill modern, retro, or classic aesthetics with matching must-have accessories like microwaves, wall ovens, cooktops, and hoods. 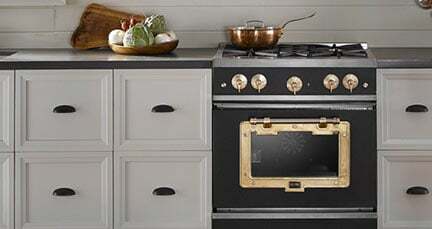 Buy from our bold collection of gas-powered ranges that come in 30- and 36-inch widths and three timeless styles: retro, modern, and industrial chic. Big Chill ovens accommodate commercial-sized baking sheets and have completely modern functionality, such as convection fans and easy-clean sealed burners with power output up to 30,000 BTUs. Plus, cooking like a pro comes easy with the full-motion grates that let you slide pots and pans from front to rear burners without lifting them.